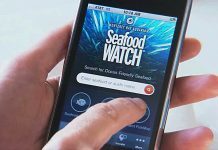 October is National Seafood Month and a perfect time to highlight smart seafood choices, specifically those that can cause food poisoning or illness. Fish can carry harmful toxins in their systems that may not be destroyed when they are cooked. The two common two types of food poisoning that can be caused by fish are ciguatera and scombroid poisoning. Neither type of seafood poisoning can be detected by taste or appearance. Neither can be prevented by cooking or freezing the fish. Scombroid, one of the most common fish poisonings, occurs worldwide in both temperate and tropical waters. Scombroid results from the consumption of improperly refrigerated or preserved fish containing high level of histamine, which accumulates when bacteria metabolize the amino acid histidine in the fish muscle, and often resembles a moderate to severe allergic reaction. 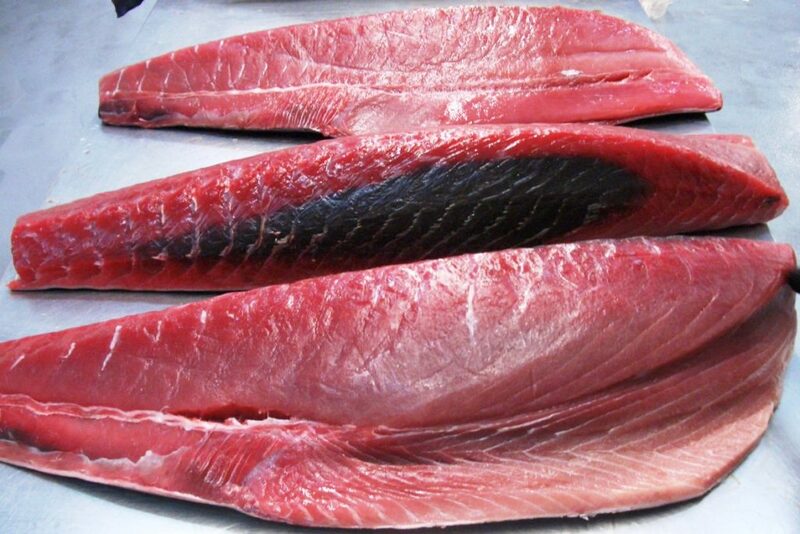 Scombroid is usually associated with ingestion of dark-meat fish, such as tuna, mackerel, anchovy, herring, amberjack, and marlin. These fish contain high levels of free histidine in their muscle tissues. Other fish that do not have dark meat (non-scombroid fish) but that have also been implicated are mahi mahi, salmon, sardines, and bluefish. 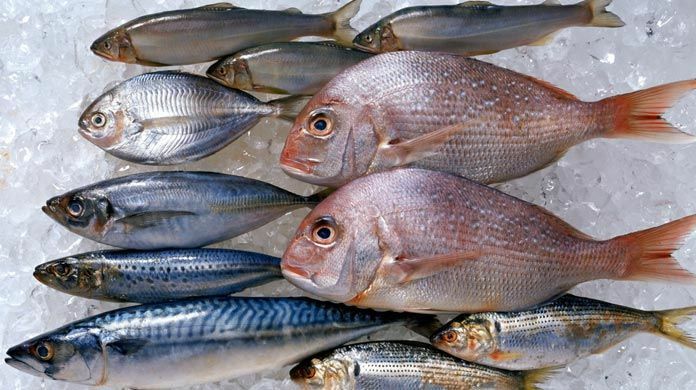 Symptoms of scombroid poisoning resemble an acute allergic reaction and usually appear 10–60 minutes after eating contaminated fish. The range of symptoms experienced is quite wide, but may include an oral burning or tingling sensation, skin rash or flushing of the face and upper body (resembling sunburn), hypotension, severe headache, palpitations, itching, and blurred vision. In some cases vomiting, abdominal cramps, and diarrhea may develop and elderly or sick individuals may require hospital treatment. The symptoms usually resolve themselves within 24 hours. Rarely, there may be respiratory compromise, malignant arrhythmias, and hypotension requiring hospitalization. There are no long-term effects. Fish contaminated with histamine may have a peppery, sharp, salty, taste or “bubbly” feel but will usually look, smell, and taste normal. 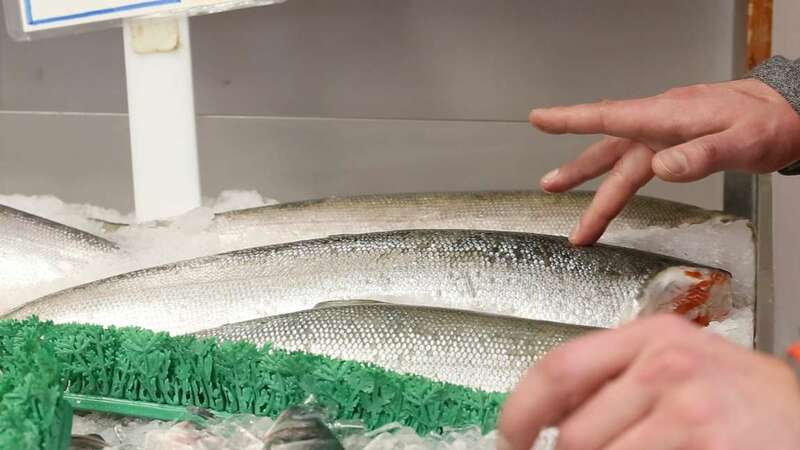 The key to prevention is to make sure that the fish is properly iced or refrigerated at temperatures <38°F (<3.3°C), or immediately frozen after it is caught. Cooking, smoking, canning, or freezing will not destroy histamine in contaminated fish. No test is 100% reliable for assessing fish for this toxin or poison. Cooking kills the bacteria, but toxins remain in the tissues and can be absorbed after the food is ingested. The fish most often responsible include tuna, mahi-mahi, mackerel, marlin, bluefish, amberjack, and abalone, though many others have caused scombroid poisoning. A person who catches his or her own fish must be careful to keep the fish refrigerated at all times, at a temperature no higher than 40 degrees F.
Scombroid poisoning is common throughout the world however is infrequently reported and incorrectly diagnosed. In the United States, fewer than 100 cases are reported each year. Symptoms are very similar to an allergic reaction and this condition is often misdiagnosed as a “seafood allergy”. Tuna is the most common fish consumed, implicated in about 85% of cases. Ciguatera fish poisoning (or ciguatera), the most common form of algal-induced seafood poisoning, is an illness caused by eating contaminated tropical marine reef fish that contain toxins produced by a marine microalgae called Gambierdiscus toxicus, a microscopic algae common in the tropics. 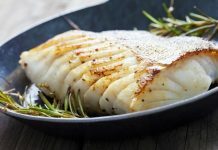 People who have ciguatera poisoning may experience nausea, vomiting, diarrhea, muscle weakness, joint aches, headache, dizziness, and low blood pressure. A characteristic symptom is “hot-cold reversal”; hot items feel cold and cold items feel hot. Symptoms may begin within 15 minutes to 24 hours after eating affected fish. Most people are better in a few days, but in some cases symptoms have lasted for months or even years. Avoid or limit consumption of reef fish. There is no specific antidote for ciguatoxin or maitotoxin poisonings. People who have ciguatera can only be treated for their symptoms. After recovering from ciguatera poisoning, patients may want to avoid any fish, nuts, alcohol, or caffeine for at least 6 months as they may cause a relapse in symptoms. The toxin may be found concentrated in large reef fish, most commonly: black grouper, blackfin snapper, cubera snapper, dog snapper, greater amberjack, hogfish, horse-eye jack, king mackerel, and yellowfin grouper have been known to carry ciguatoxins. The CDC recommends never eating moray eel or barracuda. The areas of most concern include the Caribbean Sea, Hawaii, and coastal Central America – but more than 400 fish species are known to become toxic. In U.S. waters, ciguatera occurs in Hawaii, Guam, southern Florida, Puerto Rico, the U.S. Virgin Islands, and occasionally in the Gulf of Mexico, extending around the southeast U.S. coast as far north as North Carolina. Selecting high-quality fish is easy when you know what to look for. 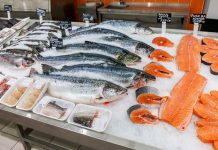 A simple inspection of seafood selections at your local grocery store or fish market will tell you whether the fish is fresh or pre-frozen; handled properly or improperly; healthy or unhealthy. Before you handle the fish, check the eyes. They should be crystal-clear, plump, wet, and shiny, with no sunken features. If the eyes look good, you can bet with reasonable confidence that the fish is fresh and healthy. Once the fish begins to deteriorate, the eyes dry out, become cloudy, and sink in or shrivel away. This indicates an unhealthy or improperly-handled fish. The tail and dorsal fins of the fish should be healthy-looking, wet, and intact. A fish that’s been mishandled will have torn or ragged fins, while an older fish’s fins will be dry and brittle. Torn and ragged fins probably belong to a fish that was netted or held for too long. If the fish monger allows it, try touching the fish for further signs of health and freshness. It should feel cold, wet, and slippery, but not sticky. When pressed, it should spring back to its natural shape, just like if you were to press on your own flesh. Fish that has lost its firm shape is no longer fresh. If it doesn’t spring back, it is a sure sign that the meat has softened. Check the gills for vitality and color. When first caught, a fish’s gills appear bright red, and slowly darken over time. The brighter the color, the fresher the fish. The gills should also feel clean and cold, not slimy. After several days, a fish’s gills will become dark brown or even black in color, indicating that the fish’s myoglobin has oxidized into metmyoglobin, which has a brickred-brown color. Mucus will build as time passes, too, so as the fish ages. the gills will become slimy and sticky. Scales are designed to protect the fish from a harsh watery environment. When a fish is fresh, the scales will be shiny and firm, a veritable armor against the elements. Less-fresh fish will often shed scales as you run your hand over them, and they may appear dry and flaky. Look for cracks in the filet that run between the muscles and collagen sheaths (the white lines running through the fish). Breaks in the muscle itself tend to indicate mishandling. Pooling water also inside the container usually indicates that the fish is aging and losing its ability to hold moisture.